The black W:O:A T-Shirt in a timeless design is plain and likewise fashionable and the pearly-white print makes it an absolute eyecatcher. 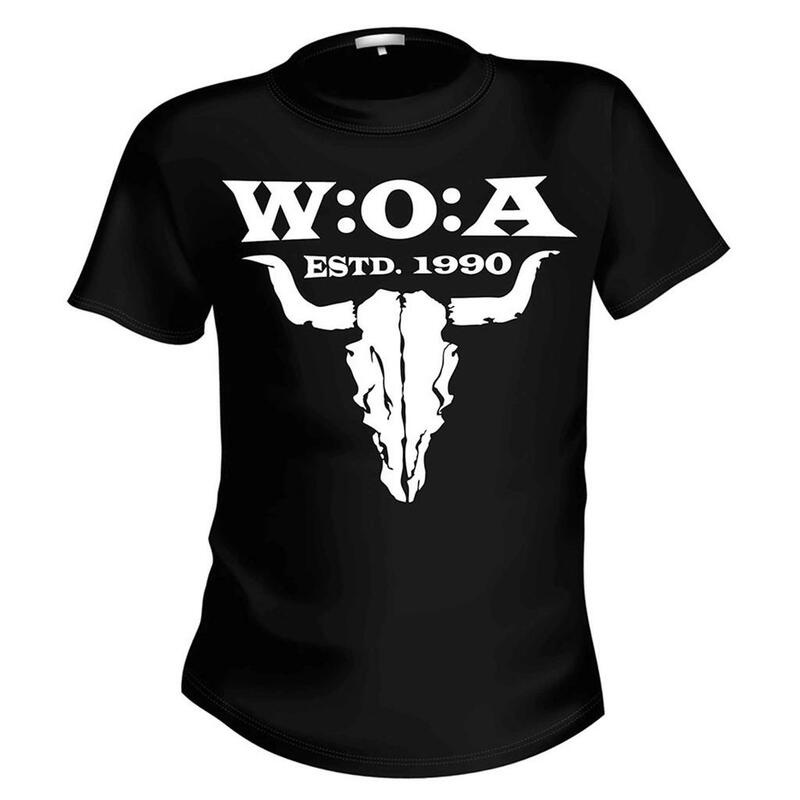 The front of the T-Shirt made of 100% cotton is printed with the W:O:A Estd. 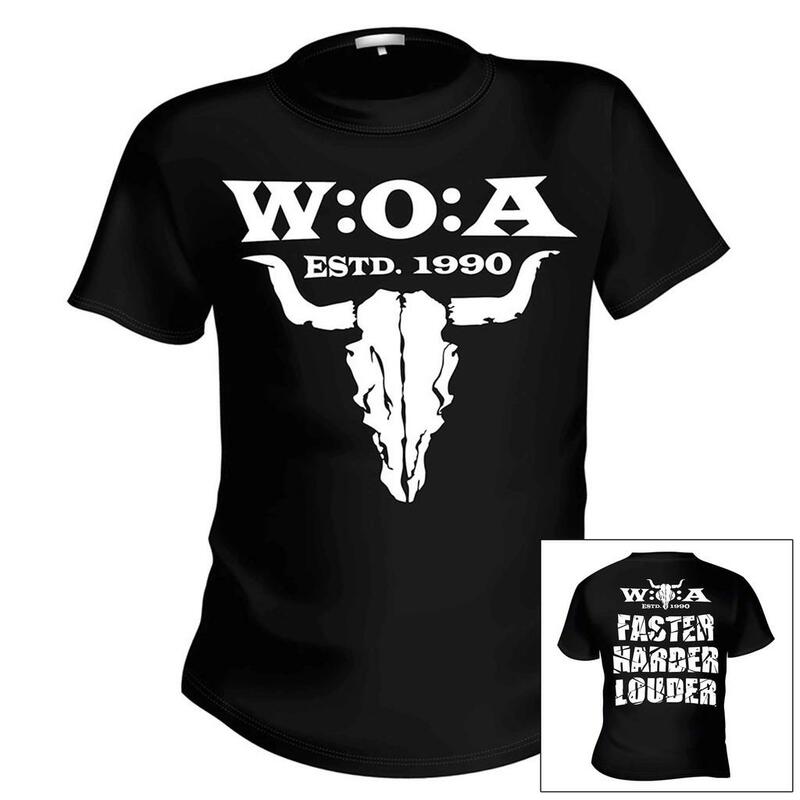 1990 logo and the famous bullhead, the back side is decorated with the W:O:A logo and the slogan "FASTER, HARDER, LOUDER".